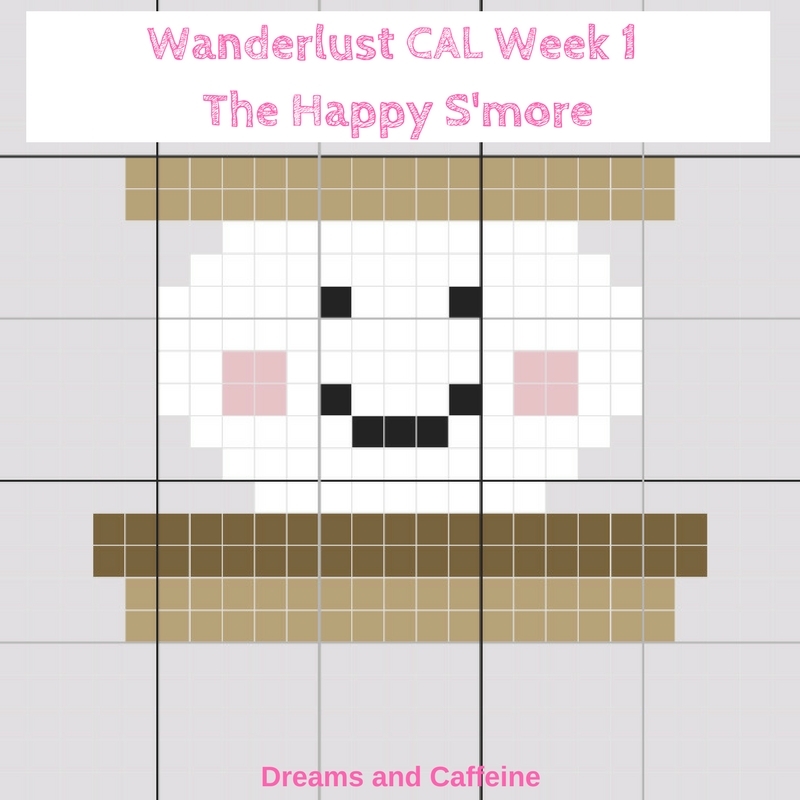 Welcome to the first release of the Wanderlust CAL! I decided to kick things off right with the Happy S’more square! 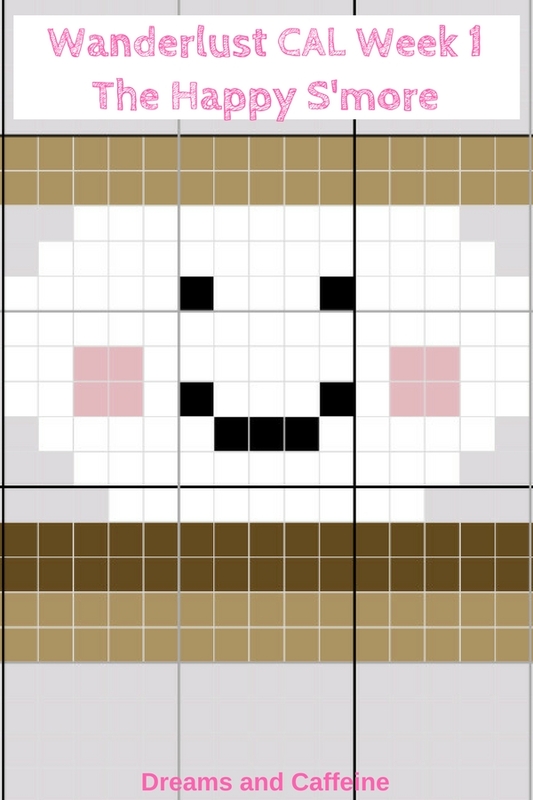 I have provided two square options this week…the Smiling Happy S’more OR the Happy S’more (no face). Both are adorable and oh so fitting for the Wanderlust CAL. I figured the Happy S’more had to be the first release because who doesn’t love s’mores?! Keep in mind, the Wanderlust CAL can be personalized. You can decide to do each release and have a large blanket to snuggle under or you can just do some of the squares and make a lap blanket, baby blanket, or pillows! You can also personalize each release with whatever colors suit your style… really, the possibilities are endless with this Cal. I will be providing the colors I chose to use on my squares, but again, feel free to get creative and share! 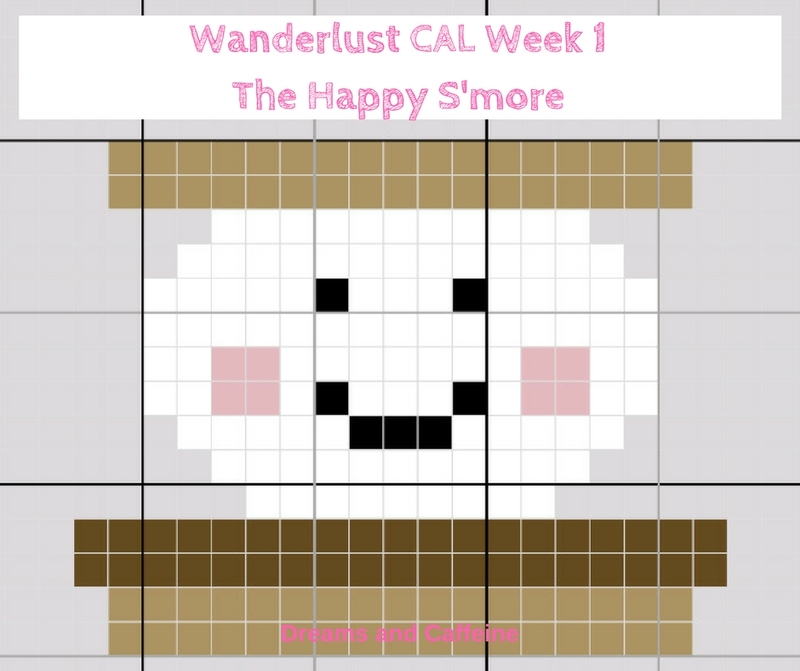 I have a private Facebook group (Wanderlust CAL) for everyone that would like to participate in the Wanderlust CAL. 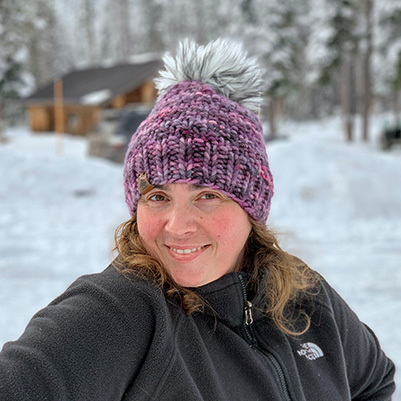 My hope is that the Facebook group will allow us to share our creativity with yarn choices as well as with the type of stitch you decide to use. It will also act as an avenue to ask questions if we run into issues. I will continue to release on Fridays, so that you can get your yarn on the weekend and still have time to complete the square. #wanderlustcal and I would love for you to share your progress along the way as well as your finished piece(s). I really put a ton of heart into this project and I would love to see everyone’s creativity with each square release. I am very excited about this adventure and I want a group of hookers to share this project with, so I have decided to offer up giveaways along the way. Hope this keeps everyone participating motivated to complete this Wanderlust CAL. Please be sure to follow me on instagram (@DreamsandCaffeine) and on Facebook (DreamsandCaffeine) to not miss out. I am providing this as a FREE pattern for you to use. You may sell any finished items made with this pattern, but I would love a link back to this post. Please do not sell or repost this graph as your own. Thanks! Please remember I will be doing the Wanderlust CAL along with you. This means I have not completed it ahead of you. If you run into issues or have questions, please feel free to email me or post in the Wanderlust CAL Facebook group. Please share and encourage anyone you know that enjoys crocheting to join us. IT’S GO TIME! This is going to be so cute! Can’t wait to see pictures.